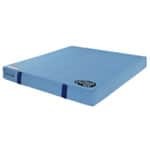 Select Size 3'x4'x4" 4'x6'x8" 5'x5'x8" 5'x6'8" x 12"
Filled with soft poly foam and covered in even softer denim. Carrying handles on the end. 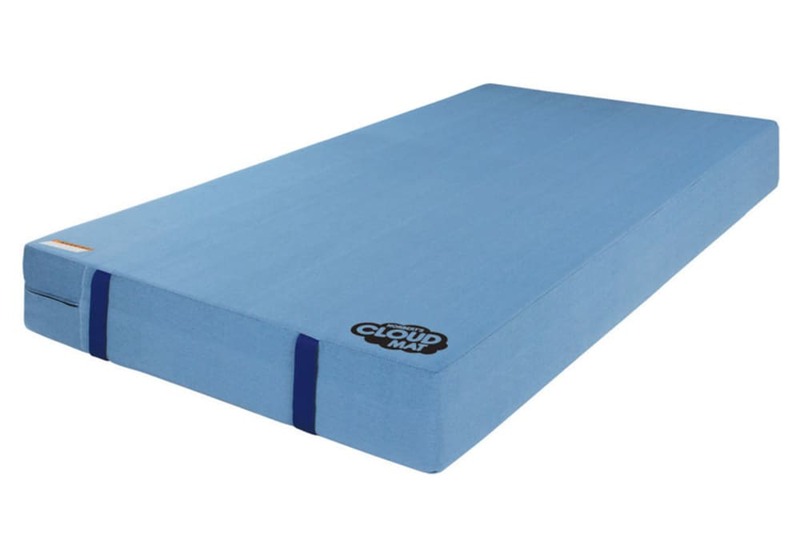 The Cloud Mat is to be used over additional padding and never on a hard surface by itself. 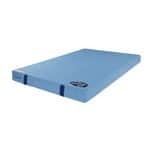 These gymnastics landing mats provide a great landing surface whether at practice or competition. Depending on the thickness, these are also used in other sports as crash mats or stunt mats. These high quality products are made in the USA and often used for commercial use in the gym or for practice at home. They are made with a soft poly foam which creates excellent cushion and provides confidence during training. 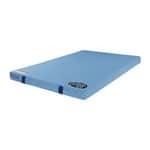 Thick landing mats create a soft landing reducing potential injuries during practice or competition. Whether using these mats for cheerleading, gymnastics or martial arts, they are excellent for learning new skills or improving proficiency with landings or rolls! PRODUCT UPDATE: The 4'x6'x8" cloud mat has now been accepted for use in Junior Olympic Competition for Bar Releases! Thickness: 4", 6", 8" or 12". 2" nylon webbing carrying handles on the ends. 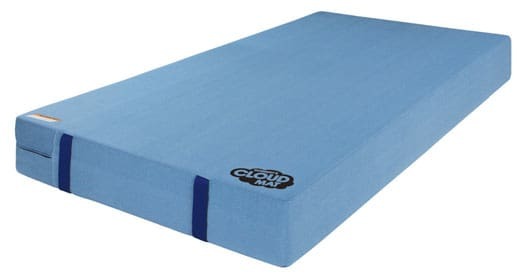 The Cloud Landing Mat is intended to be used over existing padding. Light-duty crash mats or stunt mats.